That’s the name of the rural church I pastor in Sullivan County, TN. We are not a congregation of academic elites or paragons of business. We are a blue-collar congregation. Hard workers. Many are retired after working at one job for 40 years. We are a loyal people. And we are a Christian church, a branch of what is known historically as The Restoration Movement (catch up on it here if you’d like). Down the road from our building about two miles is a Baptist church. I’ve heard disparaging comments from some of our people about those people. I have spoken with people from that church, nice people from what I could tell. And I’ve had a conversation with one gal who laid out why she thinks we’re wrong, and in the process managed to take jabs at the Catholic Church, which I’ve heard our people do as well. Does this mean we accept what everyone believes without question or testing? No. But it does mean we do it in such a way that Christ is honored and the unity of the Spirit is maintained in a bond of peace. That’s what I don’t see. 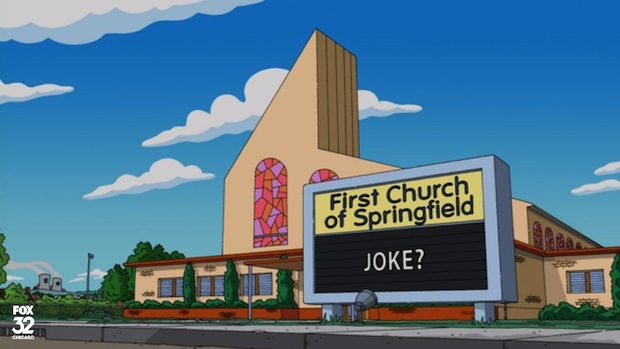 And I don’t think we’ll see it until Church becomes the most important word on our signs.